Entries tagged with “Best Bistro”. 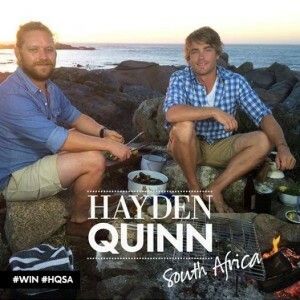 ‘Hayden Quinn: South Africa’ episode 3 very fishy! Paternoster a West Coast ‘Greek island’! It was lovely to see ‘Hayden Quinn: South Africa’ back on track in episode 3 last night, with beautiful filming of the small fishing village where nothing happens every 45 minutes, it was joked! 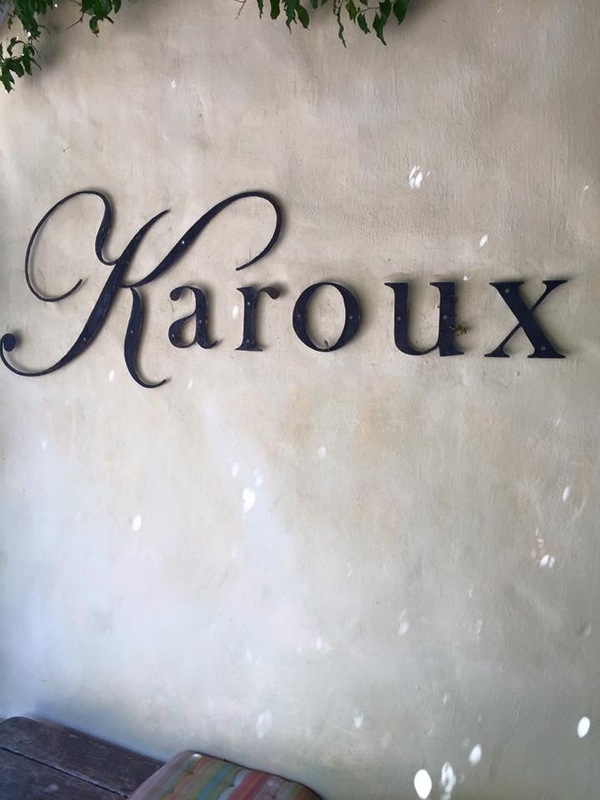 The word ‘Afrikaans’ was not mentioned once by Hayden, but he struggled to pronounce the surname of his host Chef Kobus van der Merwe from Oep ve Koop Bistro, previously named Oep ve Eet when we ate there. Paternoster was shown from its most beautiful side, with an endless beach, fishermen’s boats on the beach, and white-washed houses making the village look like a ‘little Greek island’, Hayden observed. It is the oldest fishing village in our country, and the name of the village comes from ‘Our Father’. Hayden stayed at Abalone House & Spa, and the ‘quirky bohemian feel’ of its interior decor was shown, being dominated by prints of the work by the late artist Vladimir Tretchikoff. The strict architectural guidelines for houses in Paternoster was highlighted. Interesting is that there was no mention of Reuben’s Restaurant at Abalone House, one of the five restaurants belonging to Reuben’s Robertsons Pop-Up and Pop-In Riffel! Interesting too is that Gaaitjie restaurant with unfriendly owner Suzi Holtzhausen also was not mentioned, one of the better restaurants in the village. 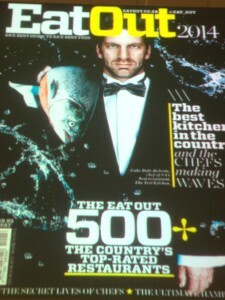 The eagerly awaited Top 20 shortlist for the 2010 Eat Out Top 10 Restaurant Awards has just been announced. Five of the twenty top restaurants are in Cape Town, two are in Franschhoek, and new SA Gourmet Capital is Stellenbosch, with five finalists. Fifteen of the Top 20 Restaurant list are from the Western Cape. Two weeks ago we posted a prediction of the Top 20 shortlist, and correctly predicted the inclusion of Bosman’s, Restaurant Christophe, Jordan’s Restaurant with George Jardine, The Greenhouse, Jardine, Mosaic, Overture, The Restaurant at Waterkloof, Roots, Rust & Vrede, The Roundhouse, The Tasting Room and Terroir. We are surprised at the inclusion of Reuben’s Franschhoek, due to service issues, and of La Colombe, as its chef Luke Dale-Roberts works at the restaurant in a consulting capacity now and is opening his new restaurant The Test Kitchen in November. A welcome surprise is to see Bosman’s on the shortlist again, after a long absence. Surprise exclusions are Giorgio Nava’s Carne and 95 Keerom Street (he is a darling of Eat Out editor Abigail Donnelly! ), and of Bizerca Bistro, which controversially won in the stand-alone Best Bistro category last year. As predicted, previous Top 10 winner Jacques de Jager of Salt (ex-Grande Provence), and previously shortlisted Top 20 Rudi Liebenberg of the Cape Colony restaurant at the Mount Nelson Hotel, did not make the 2010 Top 20 shortlist. The Eat Out Top 10 Restaurants will be announced at a gala dinner on 28 November. 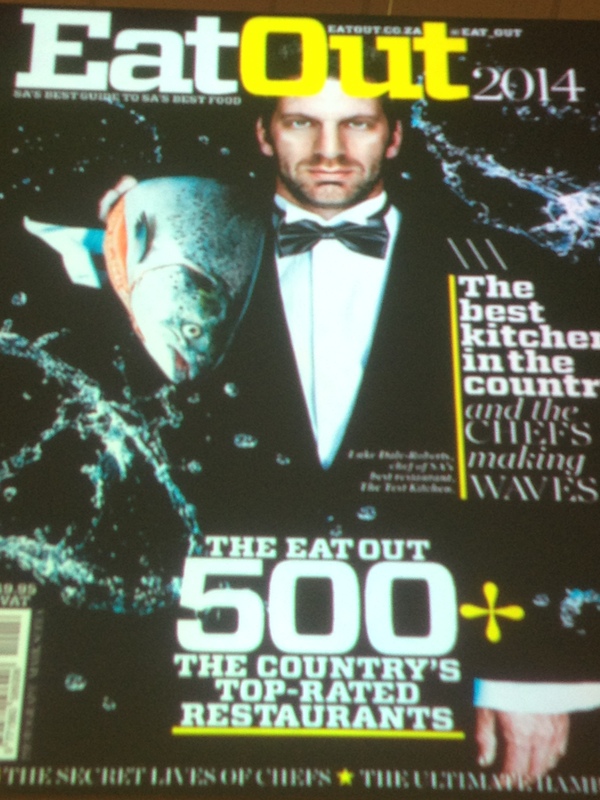 Eat Out Top 10 Restaurant Awards list grows to 11 (or is it 12?)! The Prudential Eat Out Top 10 restaurant list can make, or break, restaurants, and so the tension in the ballroom of the Westin Grand Hotel in Cape Town was high when the top restaurant awards were announced last night. Eat Out editor Abigail Donnelly indicated that the choice for this year’s Top 10 was very tough, and clarified that a chef owning more than one restaurant (e.g. Reuben Riffel) could be eligible for an award, as could a chef who will spend more time away from his namesake restaurant (George Jardine), at his new Country Restaurant at Jordan winery in Stellenbosch. In recent years a Top 20 list is announced a few months prior to the November highlight, and this year the new players on this list were The Round House in Camps Bay (who bravely stated at their inception that they want to be the best restaurant in Africa, and who are very Big Brother as far as observing their patrons is concerned), the Green House in the Cellars Hohenhort hotel, and Carne. The scoring for the restaurants was 70 % for the food, 20 % for the service and 10 % for the ambiance. Restaurants had to have operated for a minimum of a year to be considered, the owner and the chef had to show a passion for their business, they had to show a dedication to uplift the industry, they had to show that quality sourcing of their supplies is important, and consistency and excellence had to be their foundation. 10. 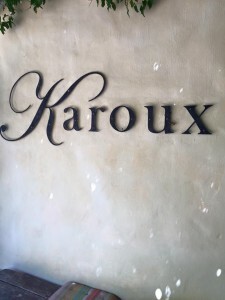 Overture in Stellenbosch and the Tasting Room at Le Quartier FranÃ§ais in Franschhoek. The tension, excitement and shock was felt by all when the winners were announced. The first surprise of the evening was that Abigail Donnelly, the editor of Eat Out magazine, had created two new Award categories, in which only she had a say in the winners. The Best Country Kitchen Award went to a perennial favourite – Marianna’s in Stanford – while, very surprisingly, the other new category was Best Bistro, which was won by Bizerca Bistro in Cape Town, a top 20 Award finalist. This made it clear that Bizerca would not make the Top 10 Eat Out Awards list for 2010. Many heads were shaking, and it sounded as if Bizerca had won a consolation prize. The next shock was that the 10th place winner was a jointly placed Overture and the Tasting Room at Le Quartier Francais, once again sounding as if the judges could not decide which of the two restaurants to drop into 11th position, making both these restaurants joint 10th winners, and thus creating an Eat Out Top 11 Restaurants Awards this year! The list also created a stir in that Jardine fell out of the top list completely (from number 2 last year), as did Hartford House. La Colombe, 9th Avenue Bistro, Mosaic, Terroir, The Tasting Room, Roots and Overture were all on the Top 10 restaurant list last year. Restaurants that were on the Top 20 list, but which did not make the Top 10 list, are Reubens, Carne, Aubergine, Bread and Wine, The Food Barn, Hartford House, Zachary’s, Bizerca Bistro and Jardine. Chantel Dartnall of Mosaic won the Chef of the Year award. Rust en Vrede won the Service Excellence award. Cape Town and the Winelands retain their reputation as the gourmet centre of South Africa, three awards going to Cape Town and Stellenbosch restaurants each, and two to Franschhoek restaurants. The 5-star Westin Grand Hotel disappointed hugely as the venue hosting an awards evening recognising the best of gourmet cooking and service in South Africa. Its standards have dropped significantly compared to the slick function a year ago. Luke warm waters and white wines were served, the service staff were initially unable to cope, and the airconditioning did not operate at an acceptable level.